ONE: On the general — though not, of course, universal — irreligiosity of the Alt-Right, a reader wonders whether religious paleocons like Pat Buchanan and Tom Piatak count as Alt-Right. Beats me. I suppose we could just ask them. Do they think they're Alt-Right? 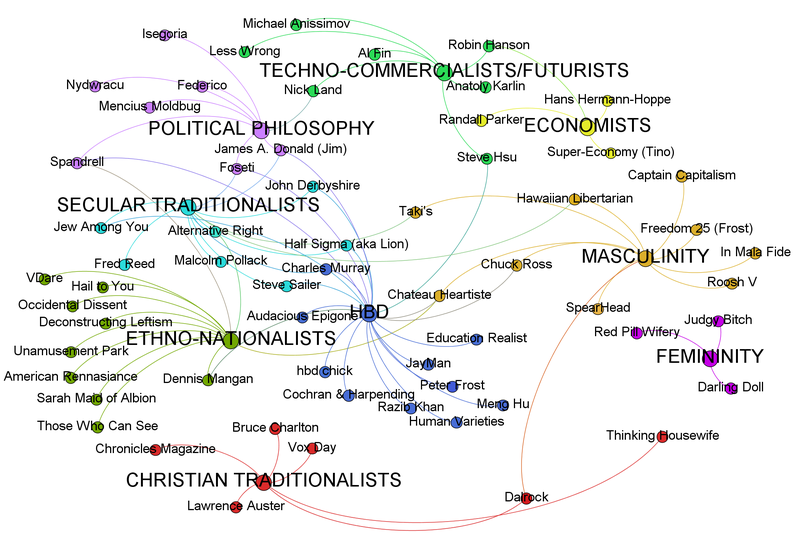 Three or four years ago someone worked up a neat diagram showing all the different schools of thought in what was then called "neoreaction." We need an updated version. TWO: Solutions for my Math Corner brainteaser are here. If you did better than Cardano, you did fine. A reader points out that you could continue the exercise all the way up to eighteens. Indeed you could; but it gets really hard to do by eyeball after sixes. More exactly, it gets hard for a while and then easier: figuring the probability of getting eighteen on a roll of three dice is not too challenging. The theory underlying these numbers is buried somewhere in the vast, well-cultivated Theory of Partitions, which figured prominently in the recent movie The Man Who Knew Infinity. There's a good basic introduction in Hardy & Wright's classic Theory of Numbers, Chapter XIX.